Chapter Dues of $35.00 due September 1 of each year. Chapters are Now Assigned an ASLTA Email Address (e.g., hawaii@aslta.org). Don’t have one? Contact Chapters Chair, Beatrice Pfaff. How do I establish an ASLTA chapter? Contact ASLTA’s Chapter Chair for guidance. My chapter wants to update information on our page. Send announcements, graphics, or other information to the ASLTA Treasurer. ASLTA chapters are intended to provide opportunities for ASL educators to gather for professional development opportunities, network, and increase the visibility of ASL at the local and state levels. ASLTA advocates for ASL education at the national level, and local chapters advocate for ASL education at the local level. For example, ASLTA developed general national ASL standards aligned to ACTFL’s 5 C’s, and local ASLTA chapters have modified that document to align to various state requirements. This partnership between the local and national branches of ASLTA continue to advocate for ASL throughout the country. In the past, ASLTA had 30+ state-level chapters, though this number has declined over the years due to the impact of technology on teachers: meeting online has become the 21st century’s preference. There are many online groups using ASLTA’s name, and each is encouraged to become a full ASLTA chapter. To provide outreach and support to ASL teachers in states lacking a formal ASLTA chapter, ASLTA has adopted a regional model. 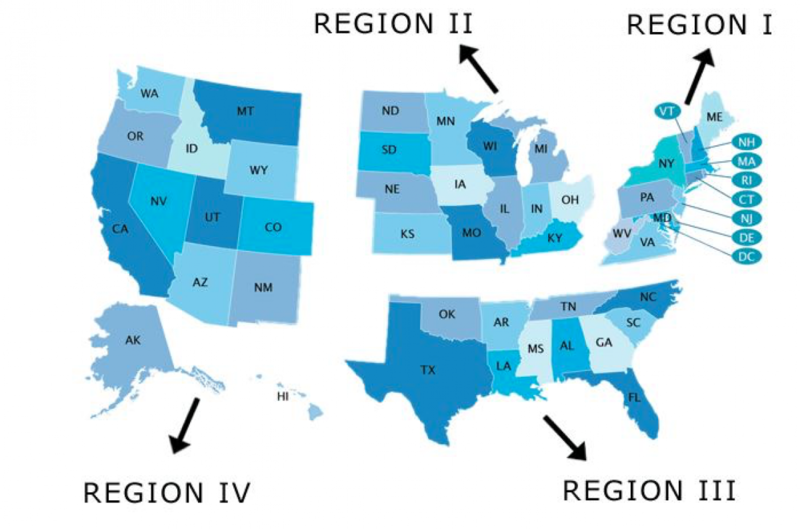 Each region has an ASLTA representative who is responsible to disseminate information to ASL teachers, support local informal groups, and assist state chapters as needed.